One of the activities I most look forward to when planning an overseas vacation is shopping! The feeling of finding exotic items like a scarf in the indigenous print, tribal jewelery, a wooden decorative mask or a beautiful embroidered blouse and bringing back a piece of the destination is exciting. Lauren Bush brings us a little piece of Guatemala with her FEED Guatemala bags created in partnership with UNICEF and Lord & Taylor. The FEED Guatemala bags are handmade a nonprofit organization called Nest, that empowers women and female artists around the world. The Guatemalan Nest artisans are using their traditional Ikat fabrics to make these bags the colors and woven patterns which reflect the vibrant Guatemalan culture. In addition to empowering women, the bags generate funds to help UNICEF provide micronutrient supplements to Guatemalan children who are stricken by poverty. Because of its exotic look, carrying this bag around town will make you look like you just got back from vacation and you will feel great about it knowing the lives of those women who helped to create it, is better off because of your purchase. 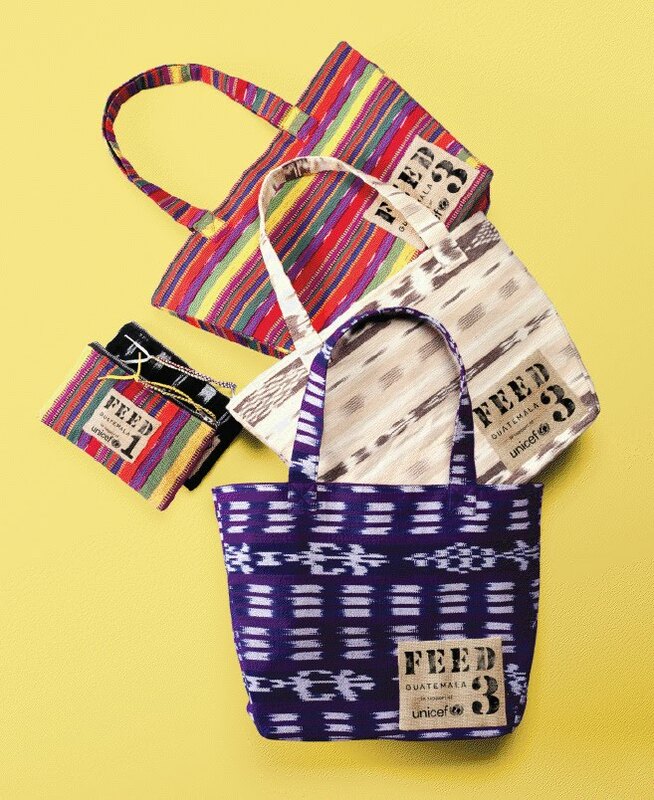 The FEED Tote bag is available at Lord & Taylor for $39 and the pouch for $19 and FEED will donate $10.50 or $3.50 respectively to the U.S. Fund for UNICEF to help support UNICEF’s nutrition programs in Guatemala. We fell in love with Charleston on a 24 hour trip a couple years ago….